Brown Bear is under the umbrella of the legendary Barnaul Machine Plant in Russia. Barnaul can trace its roots all the way back to Aleksander I, the Russian Emperor who ordered the building of the plant in 1869. The plant is located in St. Petersburg and has played a major role throughout Russian history. According to the company, every second cartridge that was fired by Soviet forces during World War II was produced by the Barnaul Machine Plant; they have held a key role in Russia for almost 150 years. Today, Barnaul and Brown Bear are known for using state-of-the-art technology to produce good quality, affordably priced ammunition for shooters worldwide. 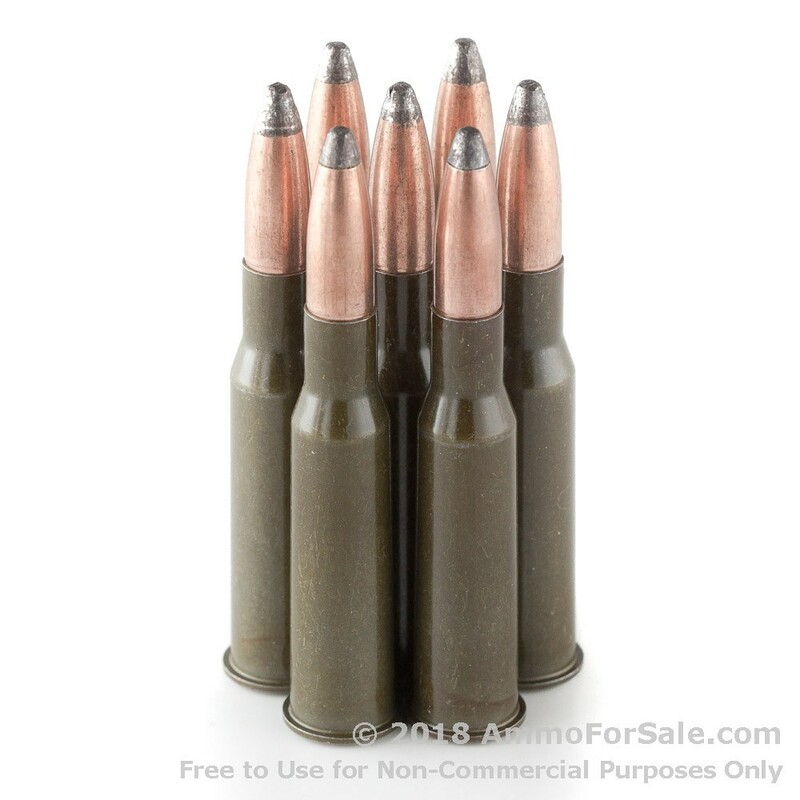 These are SP, or soft point, rounds; they’re lead-expanding bullets that expand on impact at a slower rate than the average HP, which allows them to penetrate more fully. Some shooters use these rounds for hunting medium-sized game or self-defense while others use them for training purposes. At 203 grain these are relatively heavy, which lends to their ability to hit hard. They are steel-cased and berdan-primed, which makes them more affordable. And they move with amazing speed: they have a muzzle velocity of 2,330 feet per second. You know they deliver major impact, too; they have a muzzle energy of 2,446 foot-pounds. Whatever you use this ammunition for, it’ll get the job done, and then some. You get 500 rounds when you order this box of Brown Bear ammunition. If you think that’ll last awhile, you might be surprised just how wrong you are. You’ll fire through this entire box before you know it and be reaching for more, only to find the box empty. 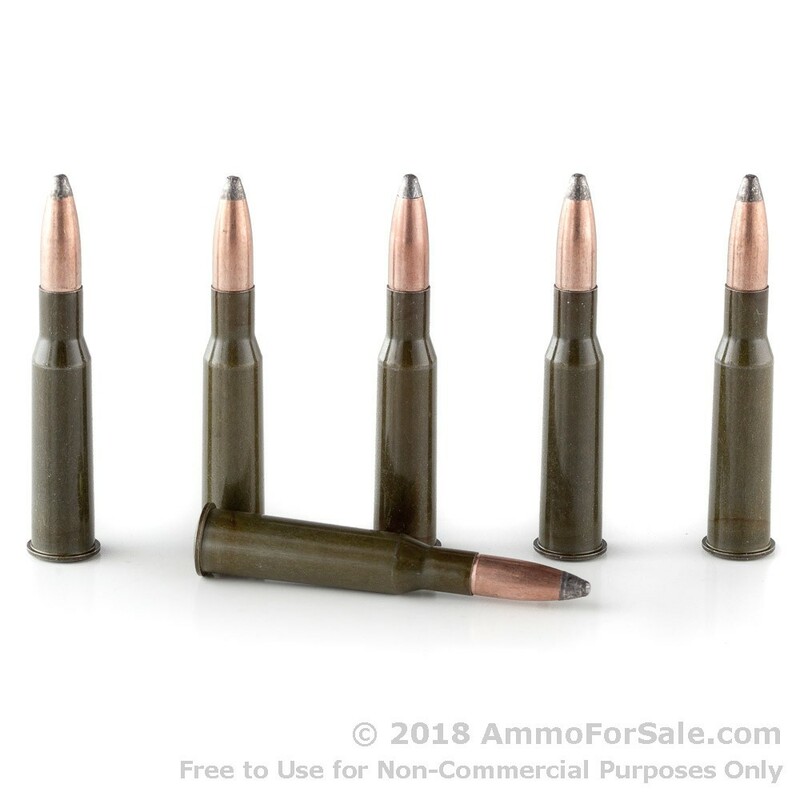 Your Mosin is a Russian rifle, and the 7.62x54r cartridge it’s chambered in is also Russian-designed, so shouldn’t you feed your Russian gun Russian rounds? 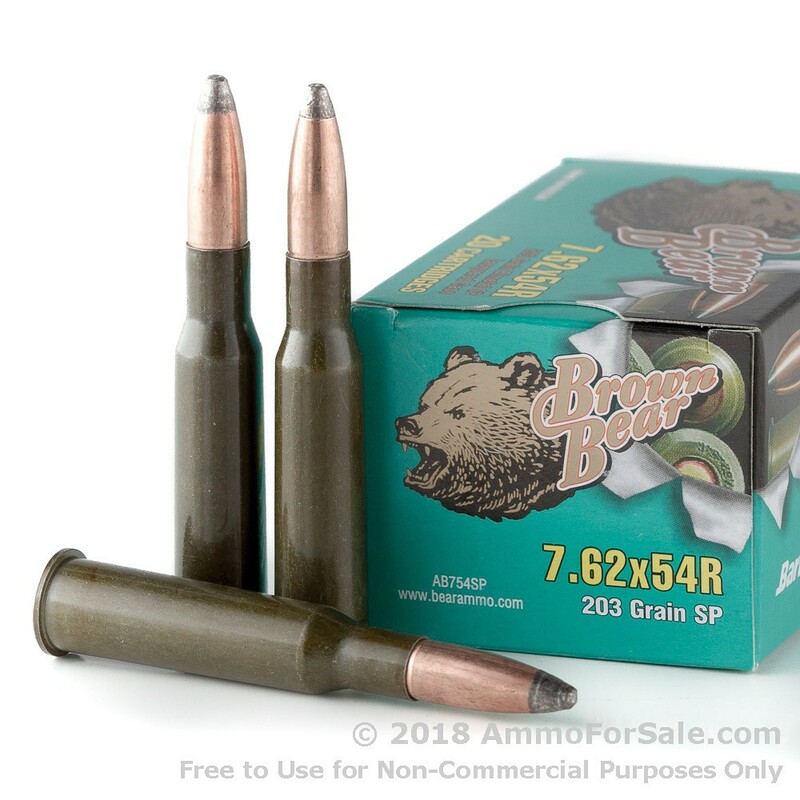 With Brown Bear, you get those Russian rounds at great prices. Place your order now to give your rifle the meal it’s been waiting for all its life.